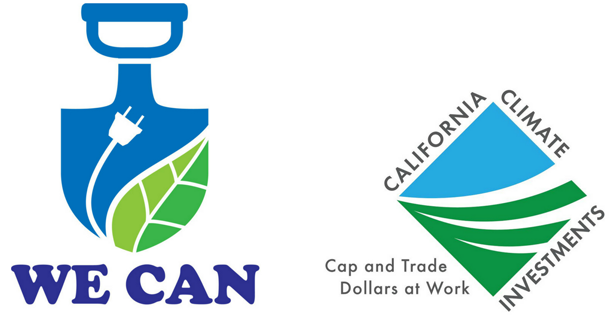 The Water-Energy Community Action Network, San Joaquin Valley (WE CAN – SJV) aims to build Water-Strong Communities by increasing access to water-efficient practices, highlighting local champions of water-efficient landscapes, and helping to grow local businesses that support turf alternatives. We want residents of the San Joaquin Valley to understand and value the beauty of California’s natural landscape. The WE CAN project is made up of three components: Landscape Upgrade Rebates, job trainings and technical assistance, and community engagement around water-efficient landscaping. This well-rounded approach allows the San Joaquin Valley to tackle reducing outdoor water use as a community. Explore this website to find out how you can benefit from Landscape Upgrade rebates and join your community to create a Water Strong community through water-efficient landscaping practices. Find out more about California Climate Investments.